Day by day lots of new Android smartphone and tablets are coming to the market and most of these android devices requires ADB and Fastboot drivers to Flash ROMs, Customization, Install Tweaks and Modifications. ADB stands for Android Debugging Bridge. 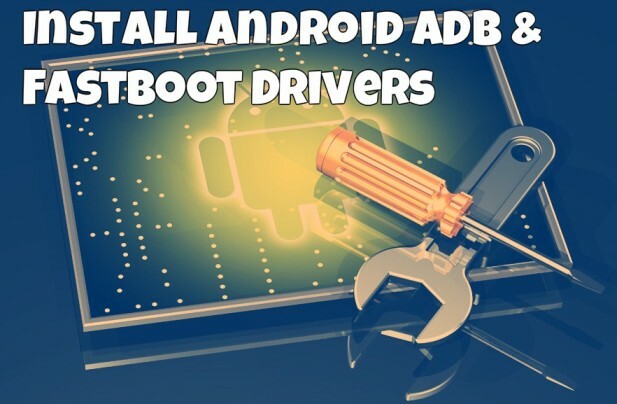 If you are not aware with the ADB and fastboot drivers what I am talking about, ADB drivers provides the terminal interface access so that you can easily interact with your phone’s file system. Or we can say in simple words that it provides a command-line-based interface for interaction between your PC and Android devices. Most of the new Android users don’t know how to setup the ADB drivers in the system. Today, in this guide we will help you to setup the ADB and Fastboot drivers on your Windows System. The process is simple and only take a few minutes to complete the setup process. Once the drivers are installed on your system, you can do lots of task on your device like root your phone by flashing root package, install custom recoveries with image file, flash zip files on your phone or tablet. To get started all you have to Download the Android SDK latest version on your PC, you can download the latest version from this link. Once the ZIP files is saved on your desktop, extract the folder on your desktop. Now you have to make some changes on your PC system and move some files on your Computer C:/ Drive to setup the android ADB drivers. Check out the video below to setup the drivers on your Window machines. thank you for shareing ..